A donor in Indiana recently provided DOHS with a large number of plates, cups, bowls and women’s and children’s clothes and shoes. 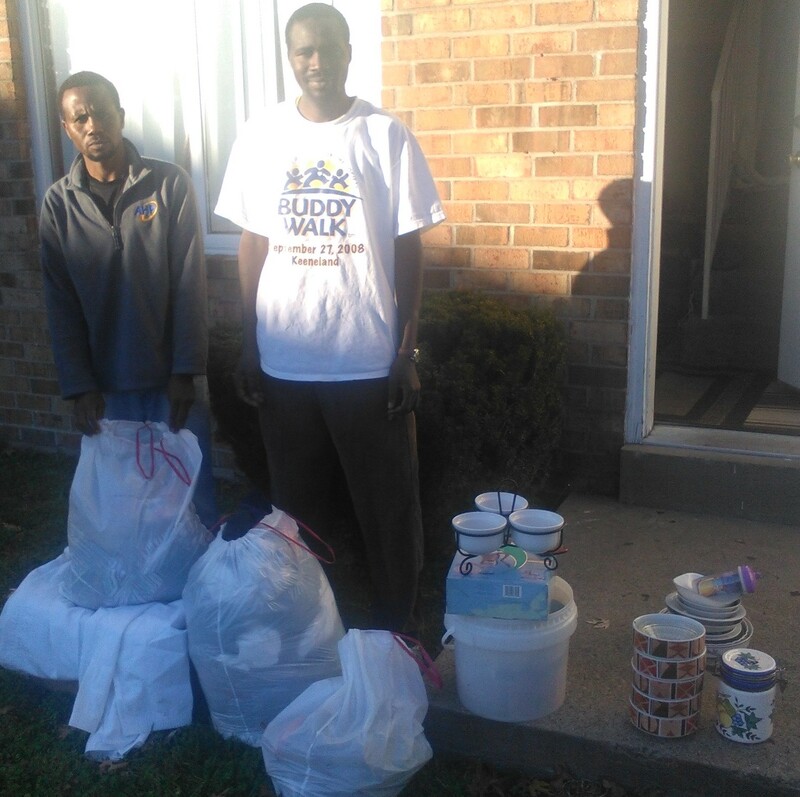 Khamiss Youssif (DOHS President) and, to the right, Mohammed Adam (DOHS Vice President) stand with the donations in Louisville, Ky on Nov. 19, 2015, several days after Khaniss Youssif collected them. The Board will decide whether or not to send these things to support a family of newly arrived Darfuri refugees in Chicago in the coming days.